Let our team have a look under the hood before you do anything drastic (too expensive). Our ASE Certified technicians are the reason many drivers throughout Lawrence, KS are still in the fast lane. EN-TIRE Car Care Center is a full-service auto repair shop that designs excellent service plans. Preventative maintenance is the key to your vehicle’s excellent performance and longevity. We’ll keep you two steps ahead of any costly repairs or breakdowns. Oil changes are the most important maintenance service because they keep your engine lubricated with clean motor oil and the proper viscosity. We consider your vehicle’s age, your driving habits, and the manufacturer’s recommendations when designing the most effective oil change schedule. Any repair services that we provide will start with an accurate diagnostic service. Come to EN-TIRE Car Care first to avoid misdiagnoses and unnecessary repairs. Our state-of-the-art tools and equipment find out exactly what’s wrong (and what’s right) with your vehicle’s systems. We can handle any auto services, including routine maintenance like tune-ups, maintenance inspections, filter changes, fluid changes, and computerized diagnostics. Our qualified technicians also handle any repairs from bumper-to-bumper, including engine repairs, transmission services, brake repairs, exhaust system repairs, alignments, and much more. We’ll enhance your vehicle’s performance and extend its road-life by adhering to an effective service plan. 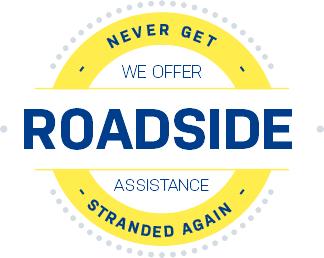 Our tire maintenance services will protect your safe road travel and enhance your driving experience. Tire rotations, TPMS service, and proper tire installations preserve your vehicle’s comfort. Your vehicle is only as safe and comfortable as the tires are fit and serviced regularly. Come to EN-TIRE for any flat tire repairs that you need. We can save you money by fixing tires that look like they need to be replaced. Patching up slow leaks and punctures can keep you road-ready for many more miles, or until you’re ready for a new set of tires. Maintaining the proper tire pressure and tire tread are the most important aspects of your tire maintenance. We’ll keep your vehicle operating as efficiently as possible. The improper tire pressure will negatively affect your gas mileage, tread wear, and vehicle handling. Before you go on any long road trip, stop by EN-TIRE Car Care Center for a routine tire check up. Our techs will make sure your tires are at maximum efficiency and performance with effective tire rotations. Proper alignment service will also extend the life of your premium tires. Receive the best auto service and repairs today! We’re a top-notch repair shop that’ll keep you on the road and enhance your vehicle’s overall performance. From beginning to end your service experience is hassle-free and convenient. We understand that it’s the quick and affordable maintenance and repair process that customers appreciate the most. Our team is anxiously waiting for your phone call, online appointment scheduling, or walk-in visit. Give us a call at 785-842-5500 to schedule an auto service or tire service appointment. Save time by using our online scheduling system right now. We look forward to serving you and servicing your vehicle.